In 2015 I survived the record drought with only Dispatch as a wetting agent on my putting greens. I had changed the timing of my irrigation on greens with much success. I wrote about some changes I made to how I irrigated my greens in this post. Last spring I then hypothesized that maybe I could get by without the use of wetting agents on my greens. So me being me, of course I tried it out. And long story short, I used no wetting agents...almost. The almost part of that statement comes from the fact that I decided to hit up the 3 LDS I had on all my greens with a spot spray of wetting agent which I did. I used the rinsate from an old dispatch jug and sprayed it on these spots. Of course the assistant superintendent at the neighboring course, Matt, called me on my use of wetting agents (he bet me that I would have to use them) and won himself a case of beer (that is if I actually make it down there with some). I didn't use Revolution as stated and stopped use of the spot sprayer and wetting agents after Matt reminded me of our deal. Now it's easy for me to talk about how great I am but I think a lot of my success with no wetting agents this year came from the fact that we had a wet June and August which made keeping the grass hydrated a lot easier than during a prolonged drought. Even so, there was still a pretty good moisture deficit this year. So in a nutshell, only those areas that received wetting agents, required hand watering. I think there were two things happening here. The first is that I didn't need any wetting agents on my greens. The second was that I had to hand water much less during periods where the weather would have normally required a lot of hand watering. 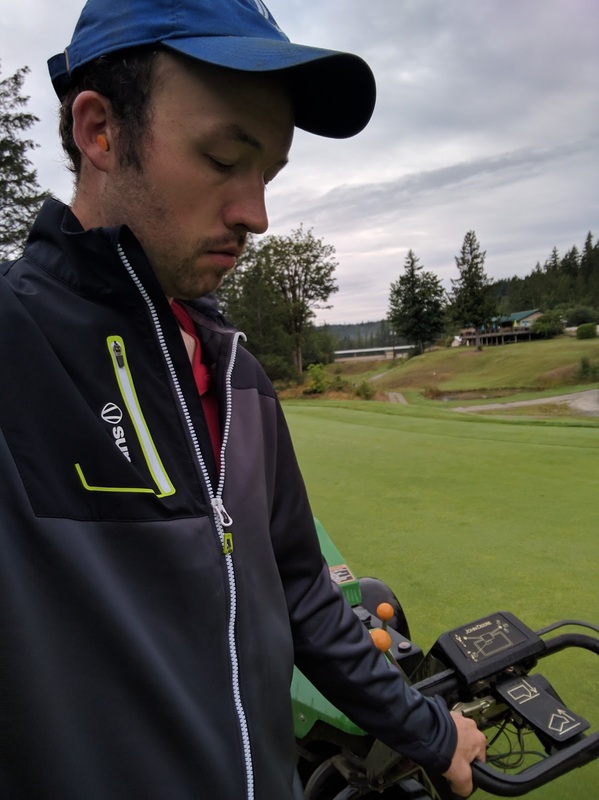 As I hypothesized last year, I think that wetting agents have become redundant on putting greens and other highly maintained areas of the golf course. With regular needle tine aeration, lightweight rolling, and the ability to measure soil moisture I think our ability to manage soil moisture has got to a level where wetting agents might not necessarily be needed under normal growing conditions. In 2016 we were able to roll our greens 218 times and needle tine aerified them 3 times. 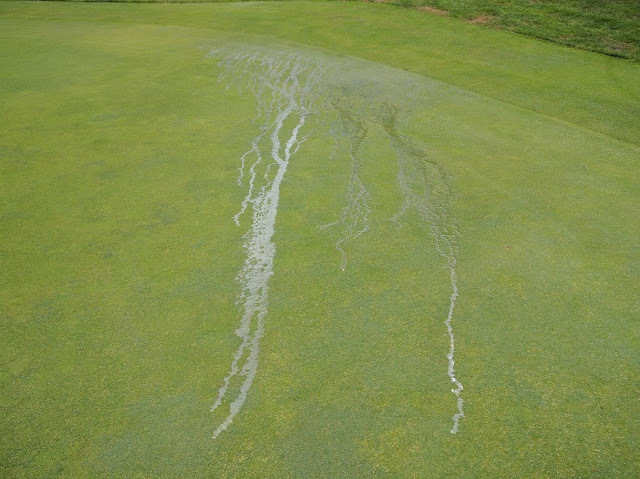 Face it, we don't have to guess how much water is in our greens, and can hand water areas that are drying out before they show signs of moisture stress and become hydrophobic. It has become relatively easy even for small golf course managers such as myself to have almost total control of moisture on our greens. On a larger scale it is still quite difficult with hand held moisture meters and this is where drone technology might come into play. If we can see and prevent moisture stress on fairways using infrared technology on a drone maybe we can also use less wetting agents on fairways. We still used wetting agents this year. 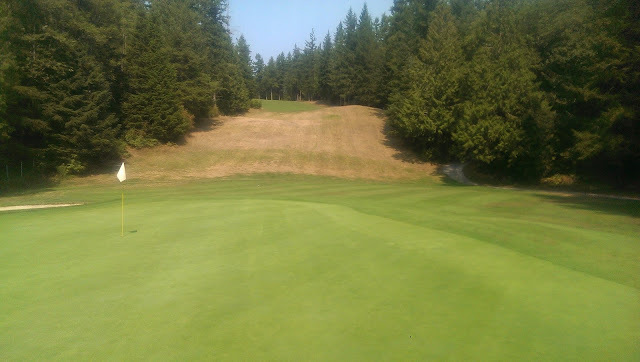 We used Dispatch on fairways and tees as we do not have the ability to have much control on these areas with our limited staff and irrigation system capabilities. Needle tine aeration has become commonplace over the past decade. The second part of my water success this year was less need for hand watering. Why was this? While I'm not 100% sure I have a few ideas why. In a nutshell, I changed the soil moisture level where we would initiate irrigation. That is, instead of turning on the sprinklers when the average VWC of the soil went below 20%, we raised it slightly to 25%. This small increase in soil moisture uses no more water than maintaining a slightly lower VWC as discussed in the comment section of this blog post by Micah Woods. Check out his post for all the details on our discussion. As you can see, in theory we can actually use less water if we keep the soil with a slightly higher VWC. Of course there is variability from one site to the other but this shows that it might not necessarily be better to have drier soils than wetter soils. It's kind of similar to how it is generally seen to be a best practice to water heavy and infrequent when that also isn't necessarily the case. Of course you are probably thinking, what about the other impacts of soil with higher soil moisture? 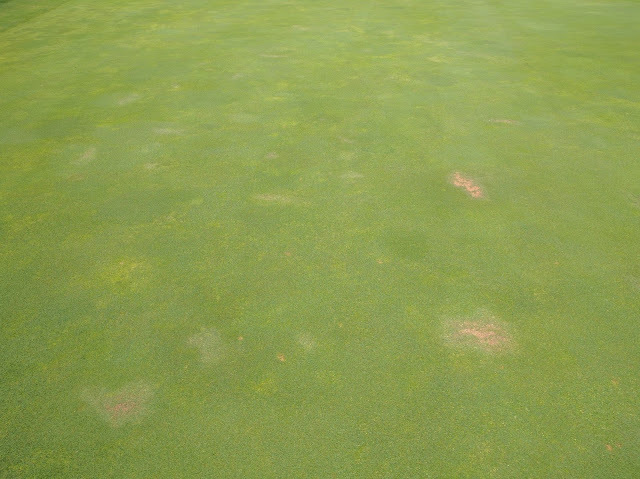 In the past I have found that disease is worse in areas that have more soil moisture. Maybe this is the case in extreme circumstances but this year I had more success managing disease than ever before. I think there are a lot of misconceptions when it comes to BMP in the turf industry especially surrounding water use. We all want to generalize and this leaves other who don't follow the general perceived consensus feeling like they are doing it wrong. There are many ways to skin a cat and from my experience over the past few years I have learned this first hand. This isn't a sign of hydrophobic soils, it's simply from applying too much water too fast. The soil can only take in water as a certain rate. On slopes such as this, this phenomenon is made worse. Another reason why light and frequent is a better way to water. Less runnoff. 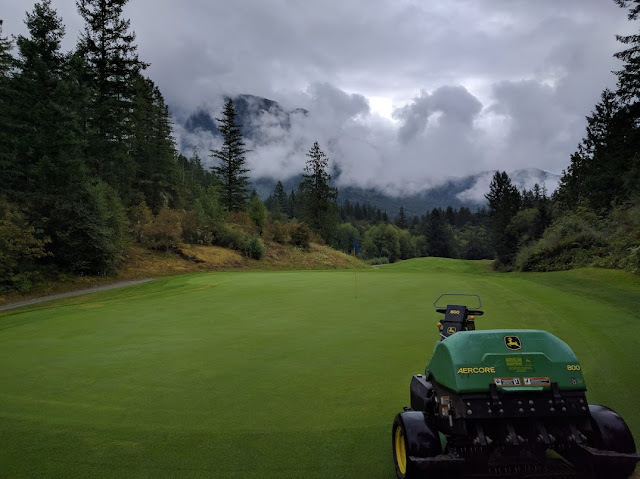 Deep and infrequent isn't the BMP for my course, it allows the soil to get too dry, and we have a hard time re-wetting the soil without the use of wetting agents. By watering light and frequent we can actually use less water and use no wetting agents as long as we are aware of soil moisture levels and regularly aerate our soils. It also leaves our greens more consistent than deep and infrequent watering would provide. Oh yeah, we also haven't syringed in years despite record high temperatures in the high 30's. Dry soils are not a BMP for my course. 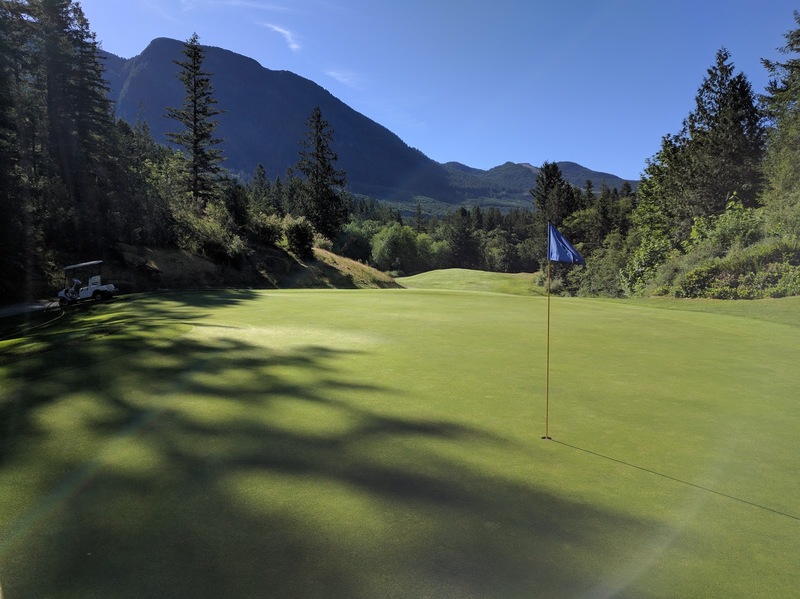 Maintaining slightly wetter soils doesn't use more water, keeps the small and sloping greens more receptive for our clientele, and does not increase the disease or amount of pesticides that are required to keep the greens in phenomenal conditions. Maintaining slightly wetter greens also virtually eliminated the need to hand water our greens which is especially important on a small crew with limited resources. 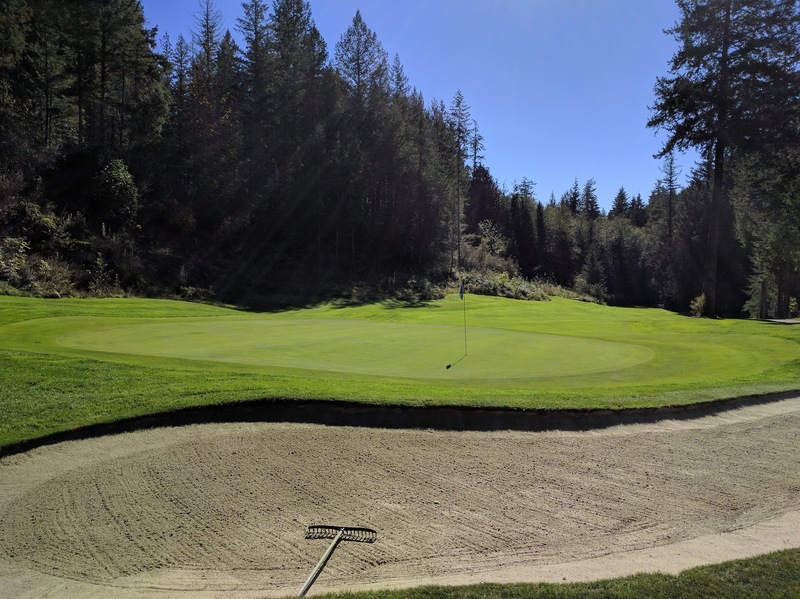 To recap, it is my opinion that the technological advances in soil moisture monitoring, high efficiency aerators and our ability to virtually eliminate any guesswork when it comes to managing soil moisture has made the use of wetting agents redundant on highly maintained turfgrass playing surfaces. Of course, wetting agents could give you more flexibility but I think that it needs to be said that they probably aren't as essential today as they were 20 years ago. If I was a small course operator (or big one as well) that couldn't afford a soil moisture meter, I would take what I spent on wetting agents and invest in a moisture meter, I would maintain my soil VWC at a level that required minimal hand watering and would water daily. 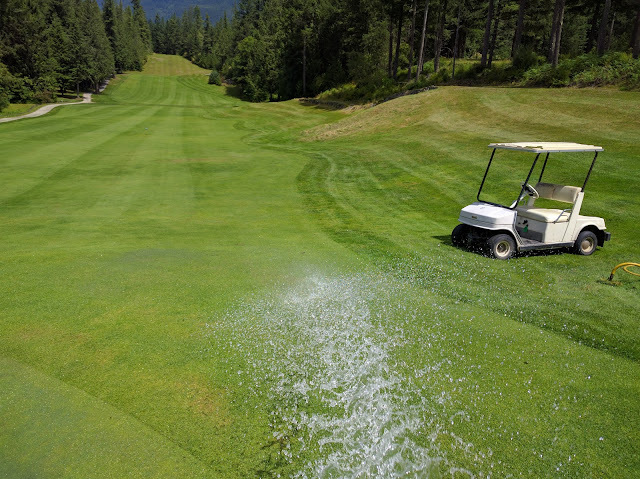 You might find that this regime although not considered a BMP would save you water, save you labor, and save you the expense associated with wetting agent use all the while allowing you to maintain healthier and better playing putting surfaces.